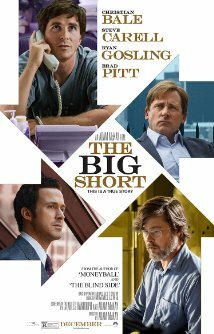 QUESTION: Marty; I am curious what you thought of the Big Short especially since you are the one who got the timing right to the day. In markets, I do not have to tell you that being too early is more dangerous than being too late. 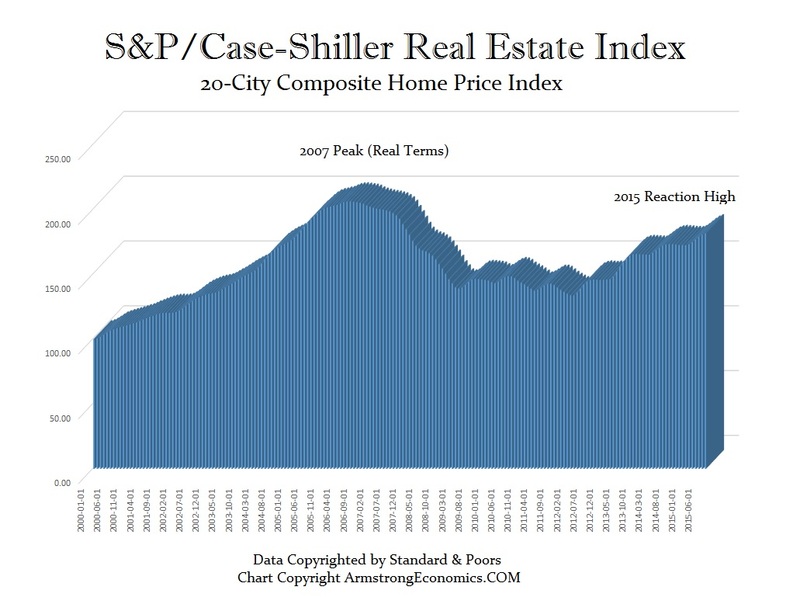 Since that fateful day on the floor when the Case-Shiller real estate index peaked and the stock market began to crash, everyone was calling it Armstrong’s Revenge for it began on the day of your ECM. They lucked out on their trades since they were all too early and played a game where the bankers fixed the price rigging the game. So any comment? ANSWER: The “Big Short” was financed by Plan B Entertainment Inc., which is owned by Brad Pitt. I thought the film was very accurate in describing what took place. What extent the bankers knew of the implications of their actions is questionable. They knew they were filling the CDOs with garbage. They knew what they sold would collapse in price. I think what they did not comprehend was the extent to which the leverage would implode. The movie did a fair job of trying to explain complex issues to the average person, but I think it still was over the heads of most. The casino explanation was clever but short of the mark. Perhaps they should have used the analogy of life insurance. You can take a policy out on yourself, however, anyone else can as well. Your boss may take an insurance policy on you because you have a key role. There can be multiple policies on you but there is only one you. 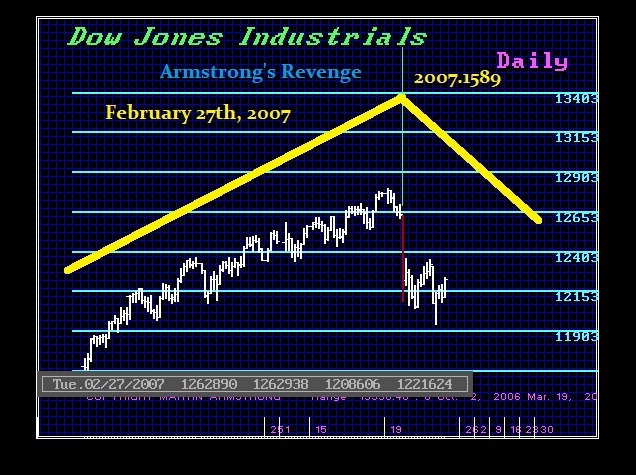 Yes, it was dubbed “Armstrong’s Revenge” by many people. I was told that term began on the floor with the traders in the pits. 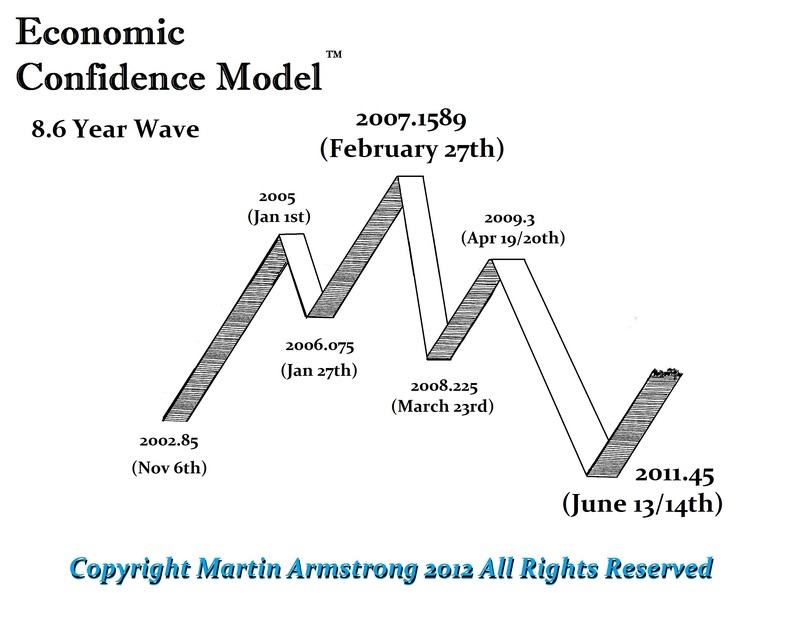 What is amazing is how many times this model has precisely pinpointed the day in so many trends and markets globally. Yet, people still resist the idea of a business cycle and foolishly buy or sell with no regard to TIMING. I agree, the characters in the film were very lucky to have survived their own trades. You can have brilliant ideas or subscribe to the theory that the dollar will collapse, but if you are TOO EARLY you will not survive your own trading decision. TIMING is everything more so than PRICE. I wrote that piece probably 30 years ago. It is on my bucket list to republish this year. I will show you a trade I lost on despite being right. 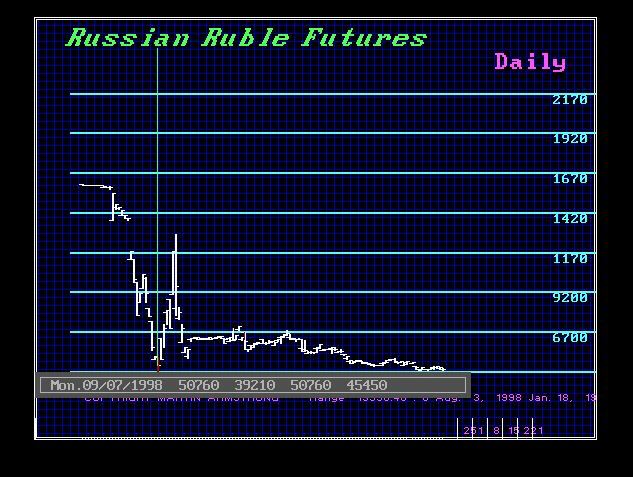 The Russian ruble began trading futures in 1992. I shorted the ruble for the collapse in 1998. The futures were still thin; I had sold a boatload. The question was how to get out since the contract was expiring. So I let it go to cash. The banks were on the opposite side. So how did they stick me and avoid a large part of their loss? The exchange sided with the banks and said the cash price was some arbitrary print the banks faked. It was hundreds of basis points above the close of the futures. This is the same thing they did in the CDOs that the film shows correctly. There was the underlying crash, but the banks would not lower the CDOs because they would have to pay. That was outright fraud. The banks are simply not trustworthy in such situations. Anyone who even thinks they are covered by a proprietary option the bank creates and prices is clearly immature and out of their mind. 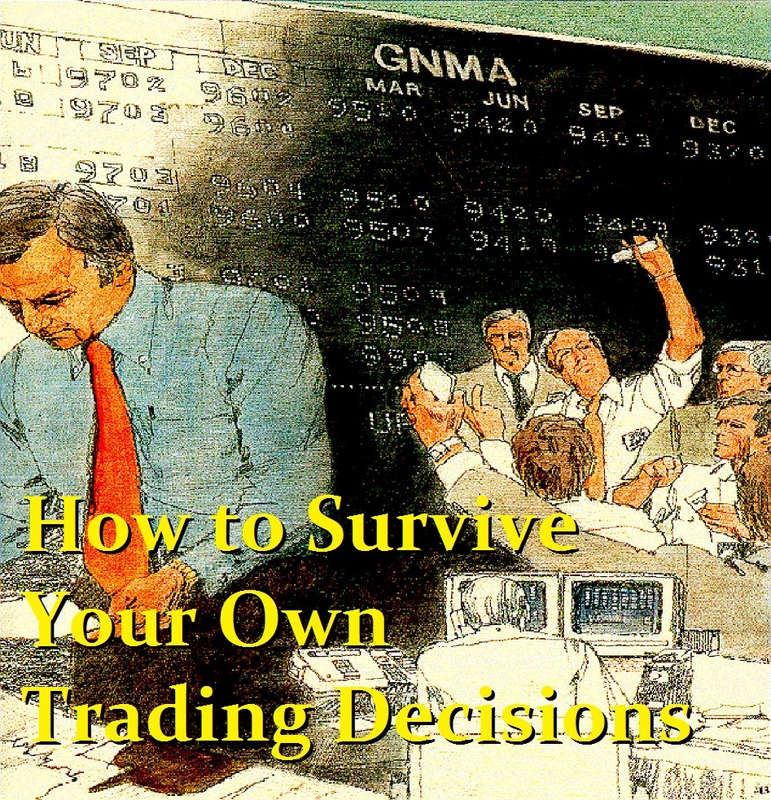 They have ZERO trading experience and do not have the experience to hedge or manage money. You cannot trade with a counterparty who creates and prices the product to their own benefit. It is just insane. They rigged the CDOs on Greece and would not pay it off, claiming they covered only a full default, not partial. It is pointless dealing in such derivatives that everyone touts as the end of civilization, for they assume these things would even be honored. They will not. Only an exchange is partially safe. Even there, the COMEX screwed the Hunts in the metals back in 1980 by raising margins only on long positions. They screwed me in the ruble. Regulators always side with the bankers. So caution is ALWAYS advised.